Nobody wants a crack in their concrete foundation. At best it means you’ll need it filled in if you want to seal or acid wash the floors. At worst, it’s the first sign of a rapidly developing split in the slab. Unfortunately, you might not see these hairline cracks if they form under your home’s carpet or tile. But when it’s your garage floor under siege, you have an earlier warning. What should you do once you spot one? First, don’t panic. But don’t ignore the foundation crack, either. Sometimes, hairline cracks are just a bit of cosmetic damage. New slabs have a bit of settling in to do, no matter how well they were laid and supported. If your garage isn’t insulated, cold temperatures could also be behind the damage. 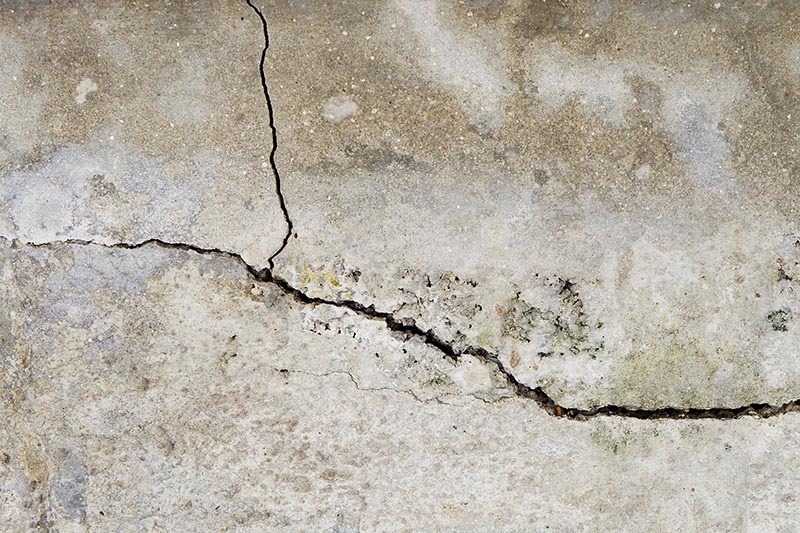 Concrete has traces of moisture in it, and freezing and thawing cycles cause pressure. It could even be an innocuous sign of age. But it might be a more serious symptom of severe foundational movement, especially if your yard faces a lot of erosion or doesn’t regularly receive water. If you don’t want to sound the alarm yet, keep a record. Take a picture of the crack with a penny for comparison. Make sure one side of the crack isn’t higher than the other, and follow the crack to both ends to check for more damage. Repeat this every month to see if anything changes. Second, call in a foundation inspector. Hairline foundation cracks might not be an emergency, but they’re certainly not a good thing. If you see signs of changes over time, or your house has had foundation issues in the past, don’t wait. The sooner you can stop the damage, the less it will cost to fix. Also, when it comes time to sell the property, there will be less history to scare potential buyers away. Go to Dodson Foundation Repair to learn more about common foundation problems or to schedule your inspection.